This is our Small Business Registry. BDCL does not vouch for these businesses or the people that run them. That said, our experience is that the great majority of Bonnie Doon small businesses are run by fine people! 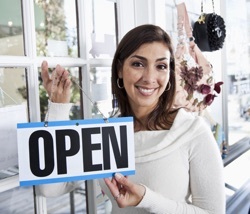 We list only small businesses, not representatives of larger firms. To be considered for listing, email info@bonniedoon.ca. Animal Artist, Sam, email samsprintz@shaw.ca. Artist (photography, painting, sculpture, design), Annique, call 780-469-9727 or email annique@ualberta.ca. Babysitting, Bronwen and Charlotte, call 780-437-3311. Babysitting, Isabelle Harris, call 780-490-4406 or email izzymharris@gmail.com. Babysitting, Olive & Gabby, call 780-440-3684. Bicycle Repair (and coffee! ), Mike's Bikes & Beans, mikelovesbikes.com. Catering, Fortin Catering, call Edna at 780-462-1760. Childcare Services, before & after school for Rutherford, part time daycare, evening and weekend babysitting. Amber-Dawn, 780-863-1816, amber_dawn_g@hotmail.com. Childcare Services, before & after school, availability for grade one and up. Kimiko Newans, 780-488-8891, kimancheross@hotmail.com. Clothing for Lifestyle, Travel / Resort, and Golf for women of all sizes, theBOUTIQUE by MGC at 9612 – 82 Ave, Vonita at 780-433-4653. Communications & Social Media, KB Consulting Studio, 780-499-7178, kelsi@kbconsultingstudio.com. Dayhome (full time, part time and before and after school care to Rutherford), Lil Sprouts Dayhome, Elysia Makonin, 780-667-8134. Essential Oils, Robyn Edwards, 587-920-9493 or rmedward@gmail.com. Glitter Tattoo Artist, Valerie Hearn, call 780-964-7284 or email vjhearn@gmail.com. Horticulturalist, Aaron Webb, 780-250-5004, hortpro@gmail.com. Jewelry (ammolite), Robert Dale, starfalling.ca. Law (Procurement and Contract), Kara Thompson, accountabilitylawoffice.ca. Music Lessons for Children, Beth Schloo, 780-468-4709, keynotes@telus.net. Massage Therapy, Cynthia, Cate & Laurie, Back to Nature Wellness Centre. Personal Trainer, Atoy Gordon, 780-200-8305, readbetweenthelines@gmail.com. Photography, Carling Stiksma Photo, carlingstiksma.com, Carling is a photographer, artist, narrator & story-teller. Photography, Vala Grenier, bluemagicphotography.ca, Small studio with large garden near La Cité. Pilates Instruction, Diana Kardel, 780-904-6508, dkardel@gmail.com. Roofing & Siding, CoverMe Roofing, call Mitch 780-700-8825. Tailor, Donna Tran of Bonnie Doon Tailors, outside entrance of BD Centre, near Royal Bank. Tutor & Homework Help, K-9, write to Shasta Johnsen-Sollos (honours with distinction student), yokoarne@telus.net. Website & software development, business disaster recovery, data backup/storage, editing/proofreading, Clockwork Technologies, clockworktechnologies1@gmail.com, 780-446-0393. Window cleaning, pressure washing, etc, Crystal Clear Window Cleaning, Dean at 780-433-6830. Yard Care & Landscaping, Edwards Yard Care, 587-920-7669, edwardsyardcare.com.